I have been making more cards using Tonic Studios dies for Create and Craft USA. 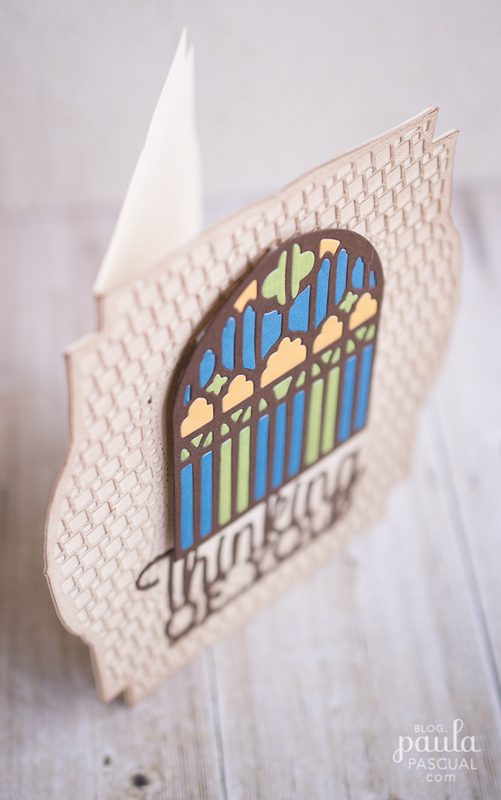 This time using their brand new Faith range which is beautiful imagery that is perfect for any religious occasions as well as other secular ones. 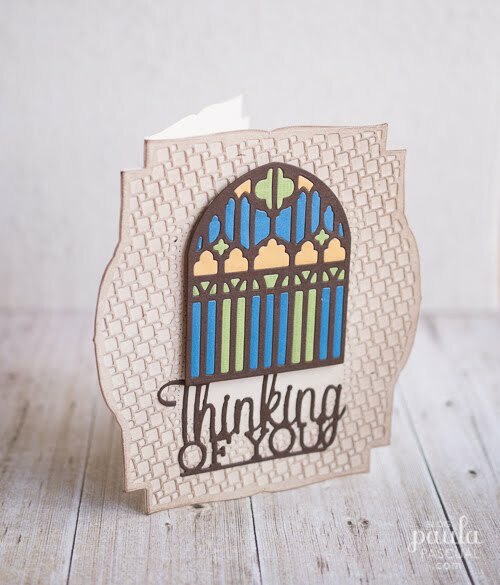 I have used: the beautiful Intricate Window die, the Thinking of You (Miniature Moments) sentiment die and as a base the Deco Trellis base die set. Like I usually do for a shaped card, I die cut two identical pieces, and on just one I score it on the left edge at about 2cm or just under 1". Then I glue that tab to the other piece to create a single folded card that has an edge all around. 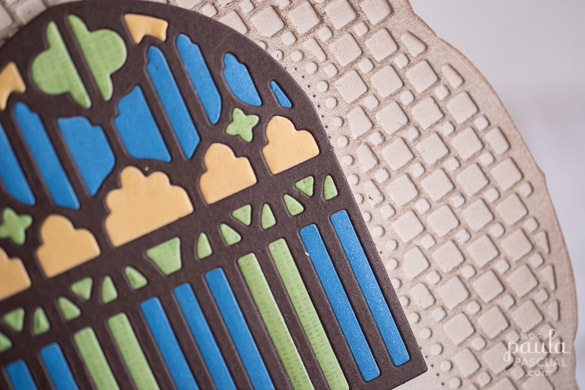 I then die cut the same shape but this time I use the inside die that cuts all the intricate squares inside the card and gently coloured it with distress brown ink. The main event is the window, and here I did a bit of paper piecing. The best way to do this for me is to die cut each colour at a time, then before even lifting the excess paper around the die cut, I use Washi tape to keep all the small pieces in place. Then one by one I created the coloured window. I love this technique, its very therapeutic. Finally I added the sentiment.